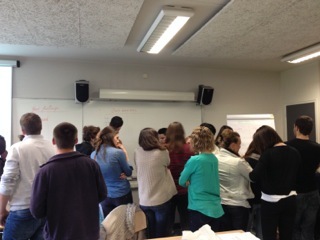 During three days, from Tuesday the 22nd to Thursday the 24th April 2014, third year Bachelor at the IGR (Institut de Gestion de Rennes) had a class untitled “Intercultural Management”. 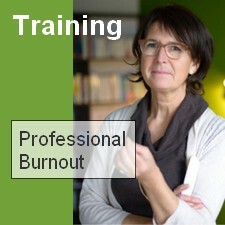 This class was presented by Arlette Janssens, our Trainer. The 32 students were immersed during 3 full days in the intercultural environment. We were sitting in a u-form to facilitate the communication between us. With the globalization, students need to understand and be understood, despite their cultural differences. In this class, students were able to work in workshops. The introduction of the training was quite interesting. The students used a flower to describe their common points, and to say what makes them unique. During this workshop everyone was free to interrupt the teacher at any time. We compared the cultural differences between France and a country we’ve been travelling in (England, Italy, China…). We learned to describe a problem without any judgment, but through the expression of our feelings and needs, in order to express clearly our request. Finally, Thursday, we participated to a last interactive workshop. The students were divided into 3 groups: one group represented a fictive country with an Anglo-Saxon culture, which sold gold to another group who came from a fictive country with an Asian culture. The last group was composed of students who had to discover the different cultural codes of each country. These workshops were aimed to demonstrate to the students that globalization created the meeting of cultures. But some simple tricks can facilitate the communication between people who have extremely different culture. Try to know the person, his culture and his way of living, be open-minded. Students were very satisfied of this class. They left this class really enriched, both on the professional and personal side. They really enjoyed exchanging in English and the Anglo-Saxon approach of teaching was very much appreciated. It changes from their regular class where they have to write down what the professor says, this class was more interactive.